Publix raises $5.2 million for sick and injured children in 2017! Publix employees and customers recently wrapped up their 26th annual Miracle Balloon campaign, raising a record $5.2 million for Children’s Miracle Network Hospitals. 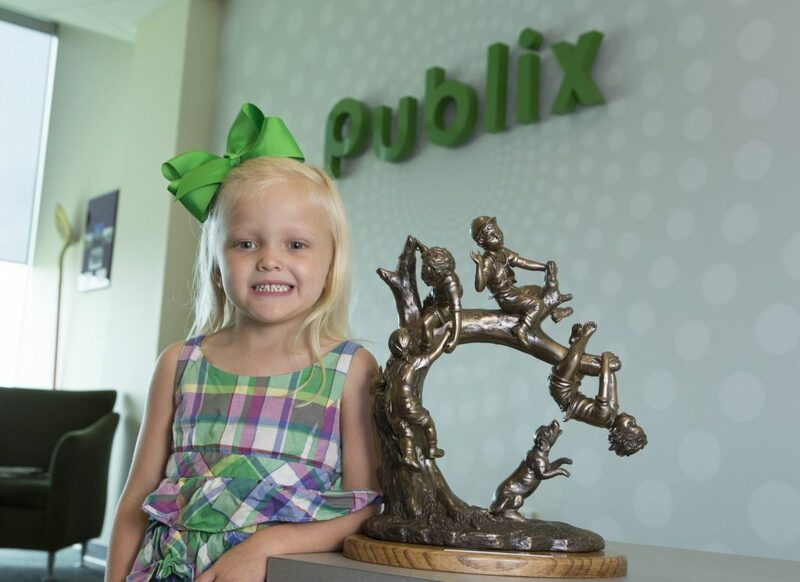 Since 1992, Publix has raised more than $45 million to help sick and injured kids. More than 1,100 Publix stores in Florida, Alabama, Georgia, South Carolina, North Carolina and Tennessee participated in the fundraiser benefitting 25 member hospitals. Funds raised during the three-week effort will help hospitals in communities where Publix operates procure life-saving equipment and provide research, education and outreach programs. Collected funds will benefit children like Sally Claire. Sally Claire was born four weeks early and has fought through a variety of conditions—from low muscle development and Primary Ciliary Dyskinesia to severe asthma and peanut and egg allergies. Through NICU consultations, physical therapy and a host of diagnoses, Sally Claire’s children’s hospital has been there for her and her family at each step of her medical journey. From June 10-July 1, Publix team members sold CMN Hospitals’ Miracle Balloon coupons at the register. The coupons cost $1, $3 and $5 and offered values of $5.50, $10 and $20 respectively on a variety of products with all donations going to a local CMN Hospital. Nationally, the stores surpassed their fundraising total by more than 13 percent over 2016.